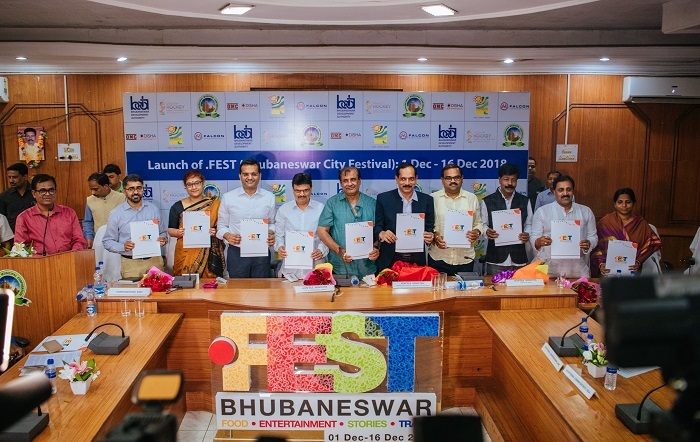 Bhubaneswar Development Authority and Odisha Tourism are jointly organizing the inaugural edition of .FEST (Bhubaneswar City Festival) from 1st December, 2018 - 16th December, 2018. The event will coincide with Odisha Hockey Men’s World Cup 2018. This festival will include activities like International Street Food Festival, Entertainment, International Story Telling Festival and Trails. The city will see athletes and guests from around the world during this period, making it the perfect occasion to showcase the cultural bounty of the city and state of Odisha. The .FEST will take visitors on a complete culture trip with global cuisines from more than 16 countries, cuisines from all states of India and authentic food specialties from Odisha by leading hotels and restaurants of the city. It will also host storytelling sessions by local and international storytellers. There's a full roster of musicians like Vishal and Shekhar, Shankar Ehsaan Loy, Farhan Akhtar, Shaan, SonaMohapatra, RiturajMohanty, Noorani Sisters and Krishna Beura performing at IDCO Exhibition Ground over the course of the festival. Audiences will also be entertained by popular stand-up comedian BiswaKalyanRath and can listen to soft, romantic ballads by singer Shreya Ghoshal. There will also be cycling tours and heritage trails around the city. Tickets for the festival will be available at Bookmyshow.com. The city’s temples are known to be a great work of art which has always been a highlight for the city. The endeavour now is to push that envelope of creativity forward. The event is likely to attract tremendous footfall including national and international tourists. The footfall each day is expected to be more than 20 to 25 thousand. Cultural programs, art workshops, handicraft display etc. will also be part of this event. 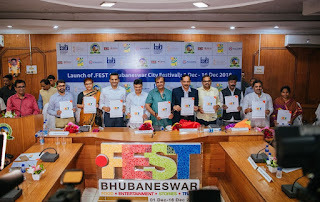 The .FEST will take place in Bhubaneswar from 1st December to 16th December, 2018.